Fine with no wear or markings in a vg plus or a little better dj. Looks close to new. For many the entry of Jackie Robinson into Major League Baseball in 1947 marked the beginning of integration in professional baseball, but the entry of American Indians into the game during the previous half-century and the persistent racism directed toward them is not as well known. From the time that Louis Sockalexis stepped onto a Major League Baseball field in 1897, American Indians have had a presence in professional baseball. Unfortunately, it has not always been welcomed or respected, and Native athletes have faced racist stereotypes, foul epithets, and abuse from fans and players throughout their careers. "The American Indian Integration of Baseball" describes the experiences and contributions of American Indians as they courageously tried to make their place in America's national game during the first half of the twentieth century. Jeffrey Powers-Beck provides biographical profiles of forgotten Native players such as Elijah Pinnance, George Johnson, Louis Leroy, and Moses Yellow Horse, along with profiles of better-known athletes such as Jim Thorpe, Charles Albert Bender, and John Tortes Meyers. 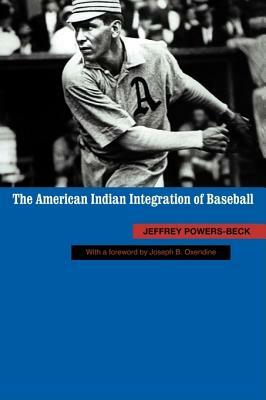 Combining analysis of popular-press accounts with records from boarding schools for Native youth, where baseball was used as a tool of assimilation, Powers-Beck shows how American Indians battled discrimination and racism to integrate American baseball.